I like ginger garlic paste flavour, so use it in very much. 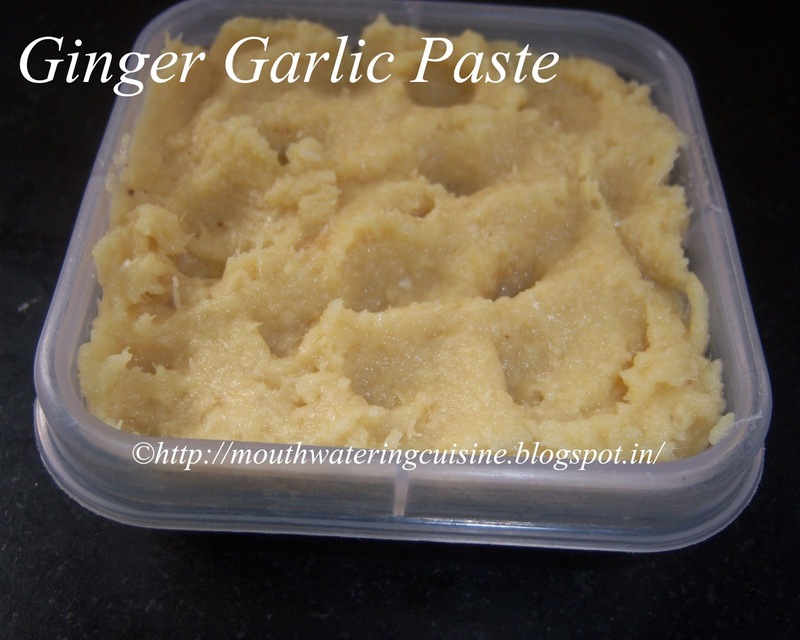 Of course most of Indian cuisine calls for Ginger Garlic Paste. It is used frequently in most of the curries, dals, snacks and of course in some rice varieties. 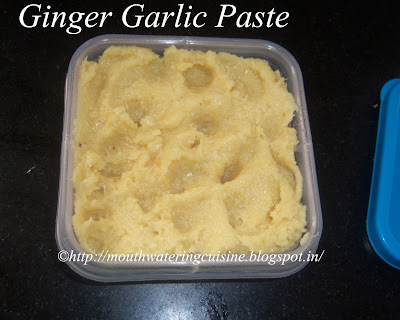 Fresh ginger garlic paste is always preferred. But early mornings, in the rush hours we may not have time to make fresh ginger garlic paste, so we make it well in advance and keep it refrigerate. It takes very less time to make and no cooking is involved in it. Simply combine all the ingredients and grind it to a fine paste. Wash ginger thoroughly and peel the skin. Peel off the skin of garlic also. Cut both of them into small pieces. We need to chop finely. Combine them in mixer grinder and grind it into a smooth paste. Add little water, as little as one table spoon, if required. Add salt and grind it to smooth paste. Some people make it coarse paste. But I prefer to make smooth one only. Store it in clean and dry airtight container. Use it instantly whenever necessary. Take it with clean and dry spoon.